You are here: Home / Mold / What is Aspergillosis and what causes it? Aspergillosis is a disease caused by the fungus Aspergillus. Aspergillus is a type of mold present practically everywhere both indoors and outdoors. Spores of Aspergillus are present in the air so most people breathe them in every day. It’s almost impossible to completely avoid breathing in some Aspergillus spores. However, inhaled spores do not normally cause illness to healthy individuals. People with weak immune system and allergies are more prone to Aspergillus induced infections in the lungs or sinuses which can spread to other parts of the body. The common Aspergillus infections include invasive Aspergillosis, non-invasive Allergic Pulmonary Aspergillosis (ABPA), and Chronic Pulmonary and Aspergilloma (CPA). 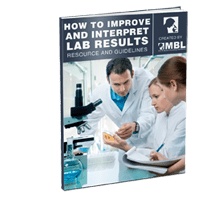 Depending on the type and severity of aspergillosis, affected individuals suffer from a range of symptoms including wheezing, difficulty in breathing, runny nose, coughing and weight loss. Severe bleeding in lungs and systemic infections are also often seen. As mentioned earlier, aspergillosis is caused by the fungus Aspergillus. There are about 180 species of Aspergillus but only a few of them are known to cause infections in humans. 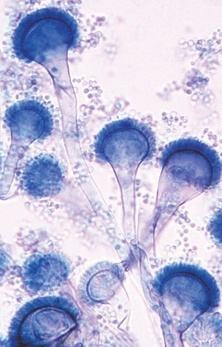 Aspergillus fumigatus is the most common cause of aspergillosis. Other possible causes of aspergillosis include Aspergillus flavus, Aspergillus terreus, and Aspergillus niger.